Many of you have embargo data access privileges with the Census Bureau. This post is a refresher on the rules associated with the embargo access program. Your embargo data access privileges allow you to download, review and analyze data prior to its public release. This early access enables you to provide relevant and accurate assistance. Access privileges also allow you to prepare a local news release to coincide with the Census Bureau’s release. If you have embargo data access privileges, this access is for you alone. It is not to be shared with anyone. Within your SDC, if there are co-workers who need embargo access, these co-workers can request their own embargo data access login. To discuss this possibility, please contact any member of the SDC Steering Committee. Some SDC coordinating agencies have access. Please share this email with them, as they are subject to the same rules. First breach – six-month suspension of embargo privileges. The Census Bureau, through its Public Information Office, reserves the right to deny access to embargoed information to any entity that abuses embargo privileges. 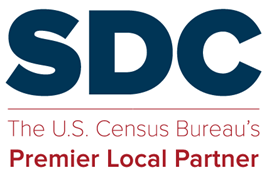 If an embargo is broken, the Census Bureau will immediately release the data to the public and a notification will be sent alerting data users that the information is now available to the public. The Associate Director for Communications or his designee has final approval on all matters pertaining to embargo access. If you have questions about appropriate use of embargo data, please ask Census Bureau staff. Finally, if you know of co-workers or SDC coordinating or affiliate colleagues who need embargo access, please contact any member of the SDC Steering Committee to discuss. This entry was posted in Sharing, Tips and Documentation and tagged Census user how-to and documentation, embargo.